There is not much worse than having to leave your warm, extra comfy bed on a cold early morning to embark on the daily commute to work, sitting on a cold form of transport and feeling uncomfy all the way. 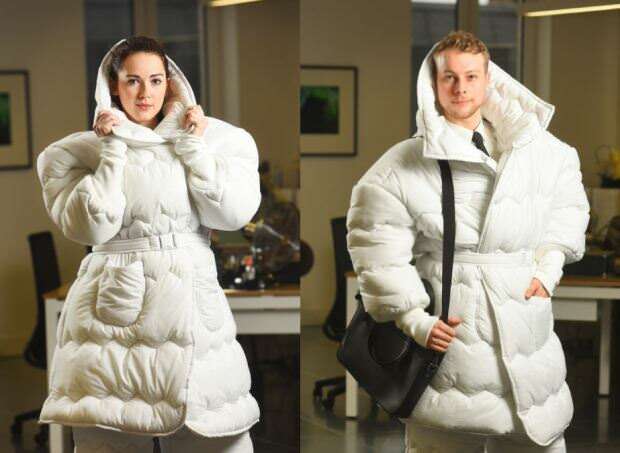 Well, this feeling has been shared by thousands for a long time and one genius has started the wave of change, with the new creation of a duvet suit! Yes, you heard right, an entire outfit formed out of duvet which is socially acceptable and wearable in public! 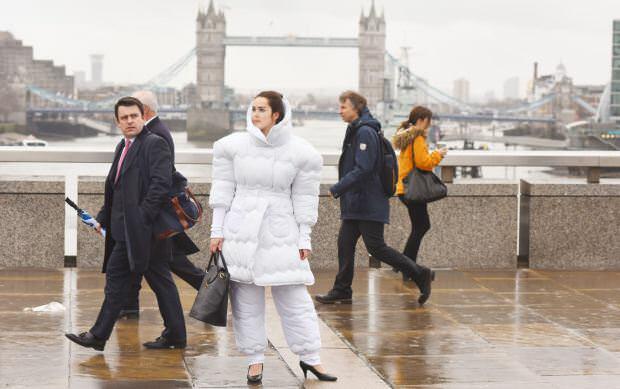 The duvet suit is literally what it says on the tin, a giant togged suit that feels like you’re snuggled in your comfy duvet at home but in the form of a full suit to wear and commute in! Tha famous hotel chain Jurys created this suit as a collaboration with top designer Wendy Benstead, to end up with a final look of a jacket and trousers which look somewhat like you might wear down the ski slopes, with a thick warm collar and all over coverage so as to not lose any of that comforting warmth! Jury embarked on this project after gathering some crazy statistics relating to our sleeping and waking patterns, with a survey consisting of 2,500 adults also found that 54 per cent of us hit the snooze button every morning, with another 56 percent claiming they struggle to get out of bed in a morning! Jury embarked on this project after gathering some crazy statistics relating to our sleeping and waking patterns, with a survey consisting of 2,500 adults also found that 54 per cent of us hit the snooze button every morning, with another 56 percent claiming they struggle to get out of bed in a morning! This suit is very clearly extremely comfortable looking, so we think it will soon become a common sight as the comfort levels hugely outweigh the arguably silly look of the outfit! 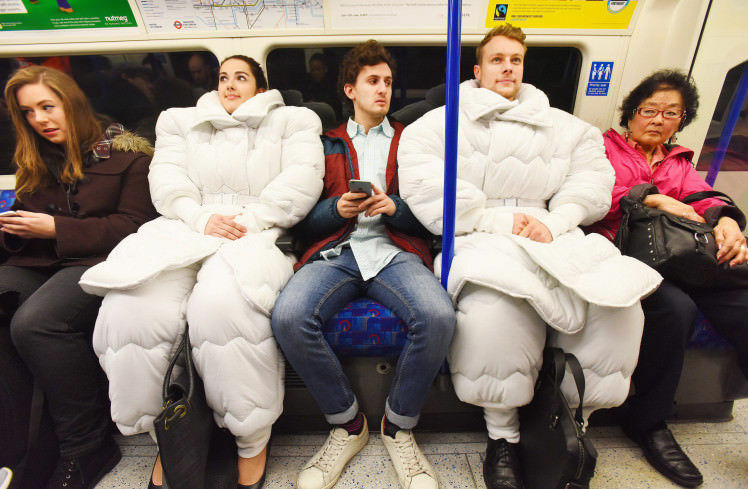 Plus there are more benefits to the suit than what you might originally think, not only is it insanely comfy, it will also snap you a bit of extra space on the train seats, mean people might not sit next to you leaving you in peace and also can be worn throughout your day to day life too… just think of the duvet days wearing this! 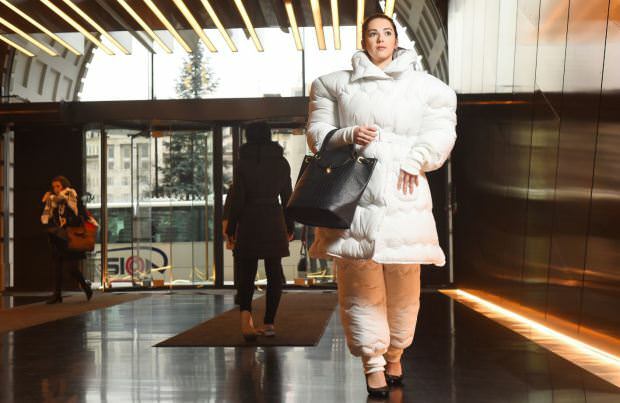 So what do you think of the duvet suit? Is this soon to be a commuters best friend and everyone will have one or is it completely ridiculous! Is J.K.Rowling Milking The Harry Potter Franchise A Bit Too Much? Since the books and the films were released, the franchise hasn't exactly fizzled out...we've had theme park lands, a sequel stage play and a three-part spin-off film series set within the Potter universe long before Harry was even born. So we ask: is J.K. Rowling milking the Harry Potter franchise a bit too much? Unusual architecture of these buildings will make you find your home boring! Facebook often offers us a veritable cornucopia of people who shouldn't be let out. Or at the very least allowed to operate a keyboard. Here are 15 of the worst comments and status updates from the site.